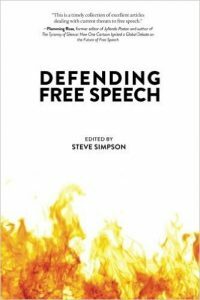 Defending Free Speech, edited by Steve Simpson. Irvine, CA: Ayn Rand Institute Press, 2016. 136 pp. $6.95 (paperback). Civilization depends on reason; freedom means the freedom to think, then act accordingly; the rights of free speech and a free press implement the sovereignty of reason over brute force. 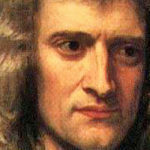 If civilized existence is to be possible, the right of the individual to exercise his rational faculty must be inviolable. Fast-forward nearly three decades to an Objectivist conference the Ayn Rand Institute hosted in 2016. During the Q&A following a presentation, an earnest college student publicly thanked the speakers for providing a “safe place” to speak out in favor of capitalism. Such a place, he said, did not exist on his university campus. Older members of the audience—this writer included—were dumbstruck. Did this young person really have to travel hundreds of miles to a private conference just to speak his mind? Further, if students cannot feel “safe” defending a controversial point of view on their own campus, is it because they have been nudged into “self-censorship”? In the years since Peikoff sounded his warning, attacks on free speech have become more blatant, including attempts by government itself to suppress speech. For example, prior to the 2012 election, the IRS attempted to restrict the political speech of Tea Party groups by denying them tax-exempt status. And recently, in a naked attempt at intimidation, the attorney general of Massachusetts issued a subpoena of ExxonMobil’s email correspondence, including the company’s correspondence with Alex Epstein, author of The Moral Case For Fossil Fuels and an outspoken critic of government energy policy. Such violations of free expression are met with little public opposition today. Once upon a time, Americans could count on intellectuals, journalists, and politicians to stand up for free speech. Intellectuals and journalists, in particular, were educated in and inspired by our universities, which proudly advocated and upheld freedom of speech and formed the front line of defense against violations thereof. But today’s intellectuals and pundits are ominously muted; and, in a painful twist, free speech is now under attack in the very academic institutions that once cherished and protected it. Some of our universities have even implemented controls on “offensive” language, have attempted to define speech as violence (“micro-aggressions”) and have demanded “safe spaces” where “offensive” speech is prohibited. It’s high time to renew and reinvigorate the argument in favor of unconditional free speech. Defending Free Speech takes an important step in that direction. Editor and contributor Steve Simpson is uniquely qualified for the battle. 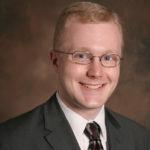 A veteran lawyer and litigator, he not only writes about free speech, he has defended it publicly in court and in the media for more than fifteen years—first as senior attorney at the Institute for Justice (IJ), where he litigated constitutional cases in courts across the nation—and now as the director of legal studies at the Ayn Rand Institute, where he writes and speaks on a variety of legal and philosophical issues. As a practicing lawyer, Simpson was involved in several important free speech cases. 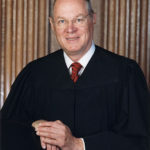 For example, he was the lead litigator in SpeechNow v. Federal Election Commission, the case that created Super PACs, and cocounsel in Arizona Freedom Club PAC v. Bennet, IJ’s successful U.S. Supreme Court challenge to an Arizona law that used tax revenues to fund political campaigns. In addition to litigating, Simpson has testified before Congress, appeared on television and radio programs such as Stossel and PBS Newshour, and written articles appearing in, among others, The Wall Street Journal, The Washington Post, and Slate. Simpson arranges his collection of essays and interviews into three sections. Part 1, “The War on Free Speech,” supplies raw historical evidence of the increasing number of attacks on speech, highlighting the intimidation of journalists and entertainers by Islamic terrorists. At the end of part 1, Simpson supplies a summary time line of the major anti-free speech incidents since the Rushdie affair, leaving no doubt that the war on speech is accelerating. Unsettling as this may be, Simpson finds reason for hope: Despite our intellectuals’ near abandonment of the issue, he writes, free speech is still popular among the general citizenry. Thus there is a base on which to rebuild its defense. Part 2, “Free Speech Fundamentals,” lays out the intellectual and legal basis for safeguarding free expression. In a series of essays by Simpson and Onkar Ghate (Senior Fellow at the Ayn Rand Institute), the authors argue that any attack on free speech is an attack on reason itself. Of particular value in this section is Ghate’s interview with the student newspaper The Undercurrent, in which he convincingly summarizes the crucial need for free speech in a civilized society. The bottom line is that freedom of speech is a cornerstone of peaceful, civilized society. And, as Simpson concludes in his excellent book on the subject, “If you value free speech, now would be a good time to start making yourself heard” (96).